With A Yacht Charter Italy. With us! 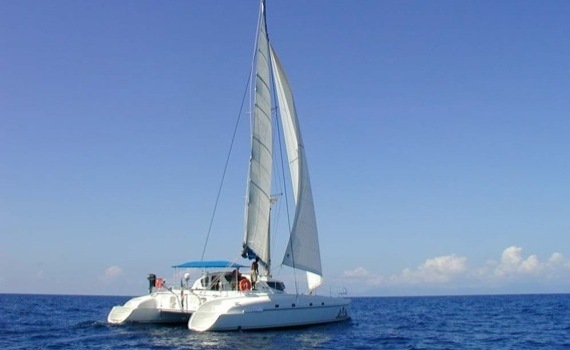 First, take into consideration the number of persons sailing with you, when choosing a right charter catamaran. Second, the sailing performance of catamarans is very important - they do not rock about in the water, and there is no fear of getting seasick because they rarely heel more than 5 degrees. 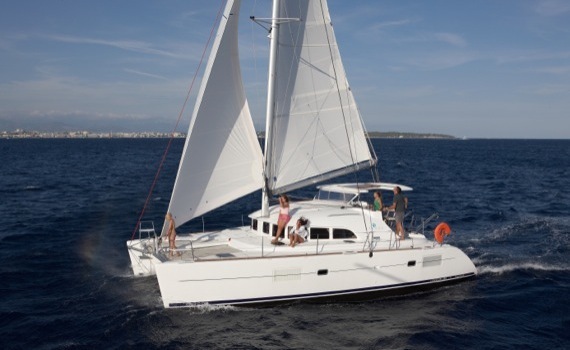 Another thing to consider when choosing a right catamaran is your budget - the price of chartering a catamaran depends upon extra amenities and activities you will choose. Do not forget the provisioning and food that should be included in your sailing cost. If you charter a crewed catamaran, you need to pay for each member of the crew and provide for their meals. Lagoon - French company. The most popular charter models range from 38'-45' feet in length (up to 67'). Lagoon catamarans are more designed for the charter business, where they can fit 4 cabins onboard for 4 couples. 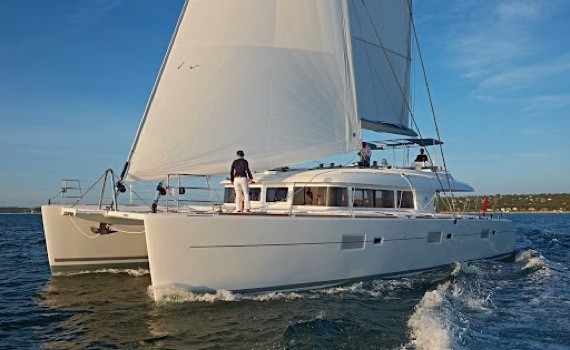 Fountaine Pajot - a French company offering a size range from 36'-65' feet in length. 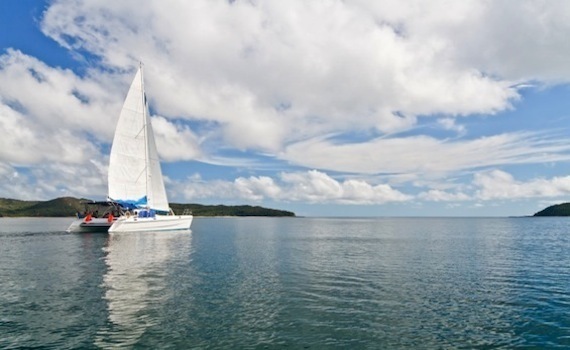 Nautitech - Fast, elegant easy to navigate, the catamarans vary from 36'-49' feet in length. Wonderful panoramic views from the cockpit. Read more on catamaran sailing yachts on our specialized page Sailing Catamaran Yachts, where you will find additional information on why catamarans are great for a sailing vacation, how to select the catamaran to best suit your needs, what types and designs of catamarans are available to you, how to sail and where to charter a catamaran yacht. Make an informed decision for the best charter vacation ever!